Ever since it first launched, the Raspberry Pi has caught the attention of every hobbyist, engineer, and geek out there. A proper computer for just $35? That’s ridiculous. And yet, that’s exactly what you get. But what is it exactly? Who made it? What’s the point? What can you do with it? Let’s find answers for all the frequently asked questions about the Raspberry Pi. The Raspberry Pi is a credit-card-sized computer that costs between $5 and $35. It’s available anywhere in the world, and can function as a proper desktop computer or be used to build smart devices. The Pi was originally intended to be a microcomputer to teach children coding. Its scope has been expanded after hobbyists and engineers saw its potential, and it is now one of the most popular technology items in the world. You can check out our unofficial Raspberry Pi guide Raspberry Pi: The Unofficial Tutorial Raspberry Pi: The Unofficial Tutorial Whether you're a current Pi owner who wants to learn more or a potential owner of this credit-card size device, this isn't a guide you want to miss. Read More to get started. You can expand the Raspberry Pi computer with modules, like adding a camera module or a touchscreen module, to increase the scope of the device. The idea was that these tiny computers would allow for easy basic programming. Its low power usage and cost were expected to make Pis more easily available in classrooms. Today, a few of the original members still act as the Foundation’s trustees, while Upton has taken charge as CEO and project lead. Why is it called Raspberry Pi? The “Raspberry” derives is an homage to early computer companies being named after fruit, like Apple, Tangerine Computer Systems, Apricot Computers, and Acorn (which inspired the microcomputer’s design). The “Pi” derives from the original idea to make a small computer to run only the Python programming language. In an interview with MakeUseOf Raspberry Pi's Father Speaks: Eben Upton On The Future of Technology And More Raspberry Pi's Father Speaks: Eben Upton On The Future of Technology And More Enthusiasm radiates from Eben Upton. He's the driving force behind the Raspberry Pi, that small computer that has been revolutionising hobbyist computing since its launch in 2012. Tall, and dressed casually, the founder of the... Read More , Raspberry Pi founder Eben Upton said they never intended to make a general purpose computer, though it’s quite capable of being one. When was Raspberry Pi launched? The first commercially available Raspberry Pi unit was launched on February 19, 2012, and sales started ten days later. This version could run Linux-based desktop operating systems 11 Operating Systems You Can Run on Raspberry Pi 11 Operating Systems You Can Run on Raspberry Pi The Raspberry Pi's hardware is only one side of the coin. Here are some different Raspberry Pi operating systems you can install. Read More , and featured 256MB of RAM, one USB port, and no Ethernet port. This was named the Model A.
What’s the difference between Raspberry Pi models? Raspberry Pi models can be a bit confusing. There are two levels to the naming system. Pi 1, Pi 2, and Pi 3 indicate the “generation” of the model, where roughly Pi 1 is 2012-14 models, Pi 2 is 2015 models, and Pi 3 is 2016 models. So 3 is better than 2, which is better than 1. Model A, A+, B, and B+ indicate the power and features. It’s not like grades though, A is lower than B.
There’s also the Raspberry Pi Zero, a $5 microcomputer for simple projects. It’s severely limited in comparison to the Model A or Model B series. Where are Raspberry Pi’s used? The Raspberry Pi has won hearts all across the globe, from astronauts to hobbyists. In fact, right now, there are two Raspberry Pi’s orbiting the earth, conducting experiments aboard the International Space Station. British astronaut Tim Peake is heading the Astro Pi project, challenging UK school students to write code for experiments that he can perform in space. Back on earth, a team of computer engineers at the University of Southampton put together 64 Raspberry Pis to build their own supercomputer! Each Pi has a 16GB memory card, making it a 1TB supercomputer. It’s like putting together a LEGO set, the makers say, and is an ideal Pi project for schools. Then there’s a group of geeks who are making a autonomous marine unmanned surface vessel (that is, a self-driving boat) with a Raspberry Pi acting as the brain. This drone will swim across the Atlantic Ocean, fitted with sensors to take scientific measurements along the way. They call it FishPi, and it’s fascinating. There are several other places that Raspberry Pis are being used in. And forget about such professional or hobbyist cases, there are plenty of real-world practical applications for average Joe too. What is a Raspberry Pi good for? Regular people can use the Raspberry Pi in a wide variety of tasks. It’s perfect for projects where you need a computer but don’t require much processing power, want to save on space, and keep the costs low. Here’s a brief list of some ideal uses of the Pi. How many Raspberry Pi’s have been sold? The last figures released by the company come from February 2016, when they announced they had sold over eight million units of the Raspberry Pi. Of these, over three million were of the Raspberry Pi 2, which had been launched only a year before that. This makes the Raspberry Pi the UK’s all-time best-selling computer, according to The Guardian, breaking the decades-old record set by the Amstrad PCW. Where Can I Buy a Raspberry Pi? For most users, it makes sense to buy the Raspberry Pi 3 Model B, which retails at $35 on Amazon. That’s the only model which comes with Wi-Fi and Bluetooth built-in, and includes a dedicated Ethernet port too. What Else Do You Want to Know About the Pi? There are plenty of projects that the Raspberry Pi is good for, and a quick Google search should find the right one for you. 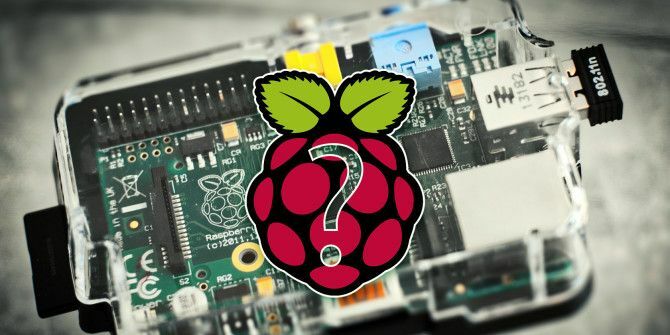 If you’re new to Pi, there are some projects for beginners Raspberry Pi Projects for Beginners Raspberry Pi Projects for Beginners These 10 Raspberry Pi projects for beginners are great for getting an introduction to the hardware and software capabilities of the Pi, and will help you get up and running in no time! Read More to ease you into tinkering with your Pi. You might also want to learn about Nvidia’s Jetson Nano, a strong Raspberry Pi competitor Will the Nvidia Jetson Nano Replace the Raspberry Pi? Will the Nvidia Jetson Nano Replace the Raspberry Pi? Nvidia is joining the hobby board market, but is the Jetson Nano a replacement for your Raspberry Pi? Read More . 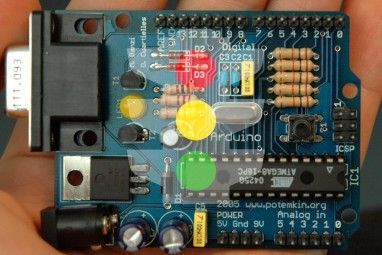 Arduino Programming for Beginners: Traffic Light Controller Project Tutorial$5 Microcontrollers: Arduino, Raspberry Pi Zero, Or NodeMCU? I want to create things like touchless car wash, fly things, robot arms...etc. 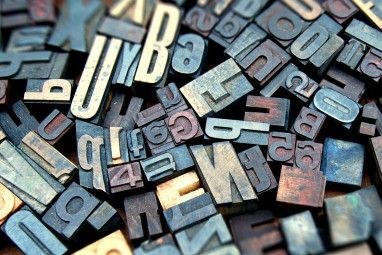 Is Raspberry the answer, if yes, is Python ok, els recommend another P language. Sorry, but your chart is wrong - I have a Raspberry Pi 2 Model B, and it has an RJ-45 Ethernet port next to the 4 USB ports (just like the one pictured sitting on someone's hand). WiFi is by USB adapter, but wired Ethernet is built in. 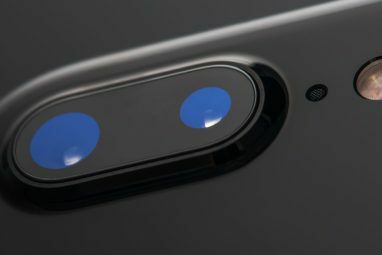 Didn't know the MicroUSB port was for anything but power; can anyone confirm this? It would be simple to do. The OS would be Linux. Make a folder on the pi for the slides. Setup the pi screensaver to be slideshow from that folder. Share that folder on the network. Done. I would like to use this device to show a slide presentation on a 55 inch tv. I need to be able to remote in and update the slideshow on a regular basis. What operating system will it use and is this feasible. You could use Raspbian Linux for this.